Service quality based on experience and independence! ensibo is the competent service provider for Operations & Maintenance of your solar power plants. ensibo is completely independent from component manufacturers and EPC companies, we only act on behalf of our customers – the owners of photovoltaic rooftop systems and solar farms. Based on many years of experience in the solar O&M sector we have developed a specifically extensive and at once efficient service and maintenance program for solar power plants – and continue to improve it. Our processes are targeted to ensure the long-term profitability of each single PV plant we manage. By offering flexible service levels we can adapt our offer exactly to the customer’s requirements. For instance, in case you would like to manage corrective maintenance yourself, we can focus our service on monitoring, ticketing and preventive maintenance. If you are in doubt of the abilities of your current service provider, start with contracting us to check their work. 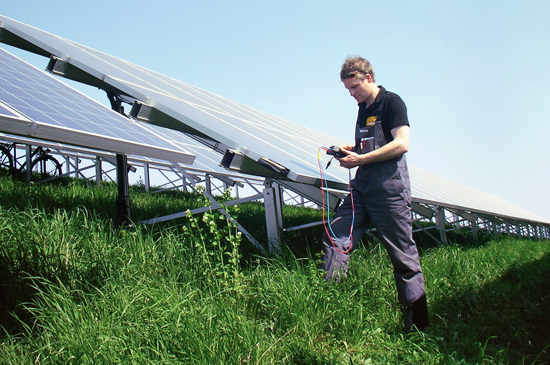 We care for your solar power plants – regardless of plant size and throughout Europe. Simply request your individual offer! ensibo offers you flexible service levels that can be adapted exactly to your individual requirements. Put Operations & Maintenance of your solar power plants in our hands - please contact us immediately via phone or email.